LAS VEGAS, MARCH 20, 2019 — FingerWorks™, the number one live telestration software used by professional sports broadcasters, has partnered with neo 360, a revolutionary touchscreen technology video control company, to bring a new feature to the world of sports analysis. Combining the best of both companies’ technologies — FingerWorks’ ReVu solution with neo 360’s touchscreen control units, the resulting interface provides users with a complete telestration, graphics and touchscreen solution for seamless on-air broadcasts. FingerWorks will demonstrate this latest system at the 2019 NAB Show (Booth SL6412). Using the real-time telestration features of FingerWorks’ ReVu solution, live sport and e-sport analysts can access imported clips and backgrounds from the event. Broadcasters can also control and manipulate these videos directly using FingerWorks’ interface and neo 360’s touchscreen capabilities. By merging live clips and still image ingest into one seamless operation, the FingerWorks ReVu offers an ease of operability. The software provides a customizable user interface with more than 100 tools and supports 4K using NDI or 12G SDI streaming. With neo 360’s all-in-one video encoder and player, analysts can now manipulate video speed and direction with simple swipe-and-tap control features. Sports analysts can also use this technology to pause and present frame-by-frame video playback. A video of the new solution in-action can be found by clicking here. neo 360 launched in 2016 and developed their patent-pending video player and encoding technology after finding fault with sub-standard video control. neo 360’s technology transfers to two applications utilized in the broadcast and security industries. One application, Capticast, allows security professionals to view and control security video on any PC. 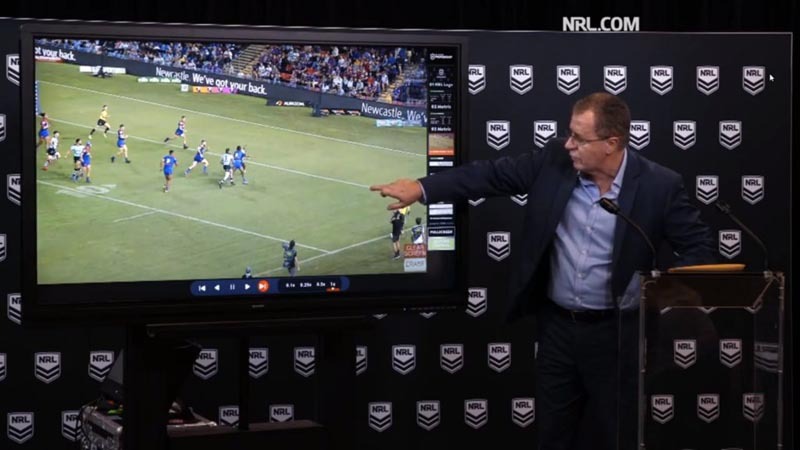 The other application, neo 360’s collaboration with FingerWorks ReVu provides sportscasters with the ability to use telestration, graphics and touchscreen video control live on-air. Since 1998, FingerWorks Telestrators has defined live Telestration for professional sports broadcasters. FingerWorks enhances an analyst’s ability to reach its audience through real time touchscreen Telestration with a variety of standard and customer supplied graphic elements. It’s easy to learn, easy to use, and the FingerWorks support team provides unmatched service and technical support. For more information on FingerWorks Telestrators, visit https://telestrator.com/.